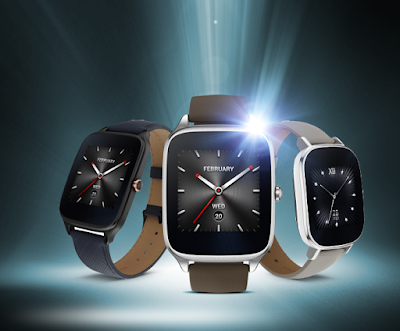 After little time Asus has finally announced update to their Android Wear - Asus Zenwatch 2. This software release bought lot of feature improvement that users are waiting for. Android has done some amazing work for integrating Android OS with wearables. That has changed the entire scenario especially watch. Let's see what are the new features bought by Asus in Zenwatch 2 in this system upgrade. Many user asked the question earlier about even thought ZenWatch 2 (WI501Q) has inbuilt speaker but they are not working so what was the reason. But Google New version of Android wear has added support for it. Now Asus has provided speaker support for their ZenWatch 2 (WI501Q). So user can now make call, set alarm, listen to notification tone when connected with smartphone. By using gesture support you can do many things using one hand. Move back and forth in menu. Select option or just back to home screen. But to use that you need enable it from the setting. But obviously it will consume little more battery. Touch your watch face to wake it up. Earlier in Asus Zenwatch 2 there was a functionality when you move your wrist clockwise such that it set into your viewing angles it will automatically light up. Now if you want to Dim it using gesture you just have move your wrist anticlockwise. This will dim the lock screen and save your battery life. If you want to navigate though various notification and functionalities you just need to move you hand orientation clockwise quickly. If you want to check previous notification then move your hand orientation anti clockwise. If you are in setting and wan to go into sub menu just wave your hand down it will take you to sub menu and when you want to cancel action or come of in main menu just wave up. Apps that support audio messages. You can play they message from directly Asus Zenwatch 2. So your friend has send audio message on whatsapp then directly play it from Android Wear no need to take out your smartphone from the pocket. When an update to your Android Wear software is available, you'll get an automatic notification on your watch when your watch is connected to the charger, is within Bluetooth range of your phone, and your phone is on and connected to the Internet. Do not disconnect your device from charger and smartphone unless your Android Wear is update completed. Still if you want to be on safer side you can go to nearby service center of Asus that will help you to update your device safely. So that's all about Android Wear Asus Zenwatch 2. If you have any question or any query do comment below. Thank you for reading.